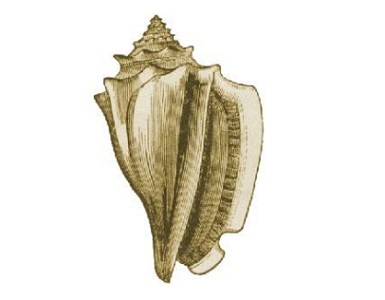 The queen conch (Strombus gigas) is a large marine gastropod distributed throughout the wider Caribbean Sea. Queen conch caught in Honduras is a sustainable option because there’s an annual catch limit to prevent overfishing and no other species of concern are caught. The queen conch fishery of the Caribbean takes place in the Bahamas, Belize, Honduras, Nicaragua, Puerto Rico, Turks and Caicos Islands, and US Virgin Islands. They are caught by SCUBA/hookah divers or by free divers. Queen conchs have life history characteristics that make them vulnerable to fishing. For example, they require a minimum density of 50-100 adults/ha to reproduce, and so populations that fall under this density cannot replenish themselves. Furthermore, this grouping allows SCUBA/hookah divers to collect many individuals at once. Although divers hand-harvest the conchs which would allow them to avoid bycatch species by selecting only the conchs, divers sometimes collect spiny lobsters, hawksbill and green sea turtles, or West Indian topsnails opportunistically while fishing for the conchs. The green sea turtles are endangered, the hawksbill turtles are critically endangered, and the West Indian topsnails are depleted. The divers themselves do not damage the habitats during the conch harvest, but anchors from boats can be dropped onto sensitive reefs or seagrass beds. The annual US trade for conch is valued at $23 million.